When we lead a hectic lifestyle it’s often so tempting to grab the first snack that we can get our hands on or the first cold drink from the supermarket fridges. Before we know it time has passed by and we haven’t given our bodies any natural or wholesome food in ages. With so many fad diets on the markets it’s important to be aware that a healthy lifestyle is achieved simply through a balanced diet and regular exercise. No quick fix pill or overnight diet will bring about the same results…anything worth having doesn’t come easily. The Bulalicious team are keen believers in everything in moderation, if you want that slice of cake then go ahead and have it and be sure to enjoy it, but that’s not to say you need to finish the whole cake. Being “treat wise” is so important as we can often kid ourselves as to what is good for our bodies and what is not. That little treat after a long day at work can soon escalate into a whole evening of binge eating. Marketing is a clever tool when it comes to planning what we should eat and what we shouldn’t. Often we see labels such as “sugar free” or “diet” and instantly we are led to believe this is a healthy option. In actual fact they could contain other substances such as aspartame which is two hundred times sweeter than sugar and also highly addictive. prevalent issues in the Pacific we feel there are so many more natural and wonderful things you can opt for instead and still get your sweet fix. From a young age we are encouraged to consume “five a day” ensuring we have at least 5 pieces of fruit or vegetables added to our diet on a daily basis. This can be challenging if you don’t plan in advance. To be sure you are getting a healthy and balanced diet, here are our top tips for stocking up on your fruit and vegetables and how to mix it up and add some variety to your meals. 1) Be snack wise – We all love to snack. When we get bored we often think the first solution is to eat, so be prepared. Make a small snack box everyday with sticks of celery, cucumber or carrot so that the next time you are feeling peckish your healthy snacks are on hand and you don’t have to worry about your waistline. 2) Switch up your sugar cravings – When the headaches set in and you feel like you are going cold turkey because you need your next fix of soda or chocolate, try opting for a natural source of sugar such as freshly squeezed orange juice full of Vitamin C. It comes without the ramifications of all the unnatural ingredients found in sugary drinks. 3) Stay hydrated – We always recommend you carry a water bottle, especially in climates such as Fiji. But you can also stay hydrated by eating fruits such as watermelons which are made up of 70% water or a coconut which is natural and readily available here in the Pacific, full of natural sugars and electrolytes for when we are dehydrated. 4) Start your day as you mean to go on – every morning fuel your body with a smoothie or natural juice. This is a great way to re-start your body each day and gives your bowels a rest from solid food. Make sure your juice follows the ratio of 80:20 which is 80% vegetables and 20% fruit. 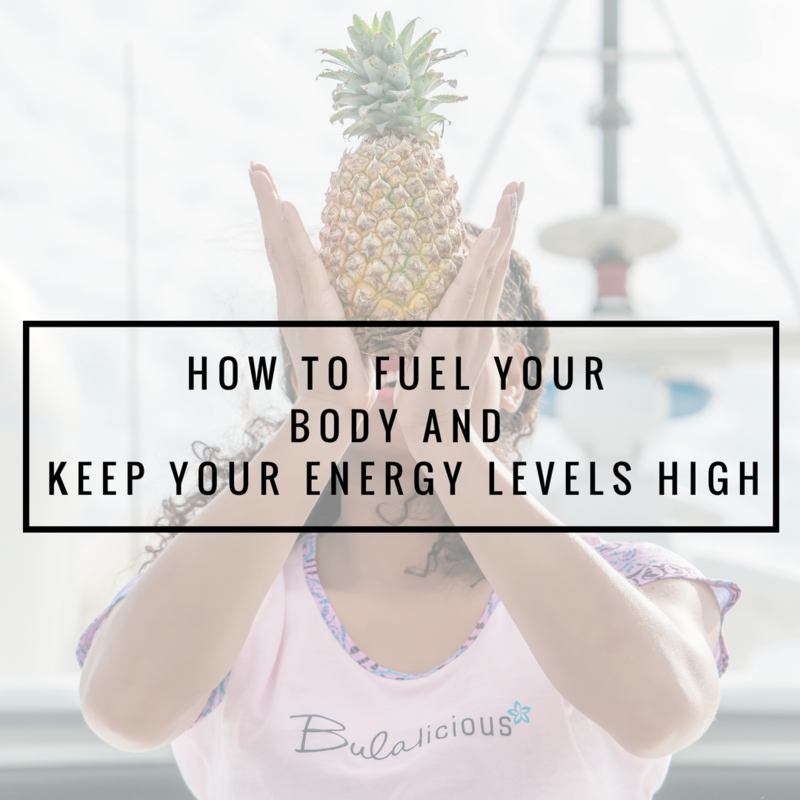 It sets the tone both physically and mentally as you know you have started the day healthy and you are more likely to carry on eating healthily throughout the day. as white will indicate a very heavy meal including rice, taro, cassava or potato which are all starchy carbohydrates that your body will eventually turn into glucose (sugar). Our bodies are one of the most intelligent things around and what we eat and drink has an effect on our bodies, that will react one way or another with what we feed it. We all know that we should be consuming fruits and vegetables but here are a few health benefits in case you were wondering what exactly they do for our body and why they are so important. * Regular intake of fruit and vegetables can help ward off diseases such as strokes and heart problems. Being healthy is a conscious lifestyle decision, one that needs work all day, every day and it’s OK to fall off the wagon and treat yourself once in a while. But remember your mental and physical state is fuelled by what you put into your body, so treat it well. Join our community of Bulalicious Beauties and sign up for all the latest offers.